Once Upon a Time in... Hollywood (working title: #9 aka Untitled #9 aka No. 9 aka OUATIH) is Quentin Tarantino's upcoming and ninth motion picture. The full story is currently unknown, what is known is that the film is set in Los Angeles in 1969 (see below). The title was revealed on February 29th 2018 as Once Upon a Time in Hollywood. 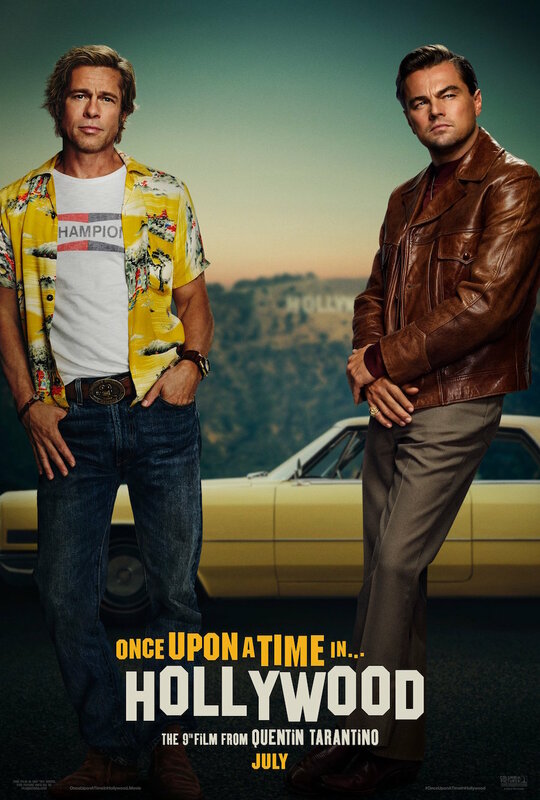 Quentin Tarantino’s Once Upon a Time in... Hollywood visits 1969 Los Angeles, where everything is changing, as TV star Rick Dalton (Leonardo DiCaprio) and his longtime stunt double Cliff Booth (Brad Pitt) make their way around an industry they hardly recognize anymore. The ninth film from the writer-director features a large ensemble cast and multiple storylines in a tribute to the final moments of Hollywood’s golden age. Peter Bart & Mike Fleming of Deadline described Leo's character more in detail as "an actor who had his own Western show "Bounty Law" that ran on the air from 1958 to 1963. His attempt to transition to movies didn’t work out and in 1969 — the film is set at the height of hippy Hollywood movement– he’s guesting on other people’s shows while contemplating going to Italy which has become a hotbed for low-budget Westerns." Production began mid-2018 for a worldwide August 9, 2019 release, aiming for an R-rating. The budget is said to be approx $100 million. The deal with Sony Pictures is said to include first-dollar gross and final cut on the film for Quentin. In late 2018 it was decided to move the release date up to July. A premiere is said to be held at the Cannes Film Festival. It will be produced at and distributed with Sony Pictures (worldwide). Producers are David Heyman, Shannon McIntosh and Quentin Tarantino. Executive and line producer: Georgia Kacandes. Quentin's L. Driver Productions, Inc. and Heyday Films, Mr Heyman's shop, are so far listed as production companies. November 26, 2018: It's a wrap. July 12, 2017: Tarantino's next about Manson murders? Producers: David Heyman, Shannon McIntosh, Quentin Tarantino, Georgia Kacandes. This page was last edited on 20 March 2019, at 20:32.